EzPayCheck 2013 is strictly a payroll management tool for smaller businesses who want to increase the productivity by reducing their costs. 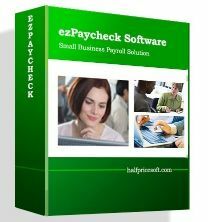 Basically, ezPayCheck is developed to manage payrolls, checks, reports of various companies and calculate taxes too. ezPayCheck was developed by HalfPriceSoft company which is the leading software provider for small businesses. It has released few more business tools such as employee attendance tracking tool, check printing software, and barcode generating software. Payroll has different meaning in different areas. In a company, Payroll is the systematic and financial record of employee salary, wages, bonuses and deductions. Whereas in accounting, Payroll refers to money spent on employee for their services to the company. Thus, Payroll Management includes the task of holding and scheming records of employee’s basic pay, increments, eligible allowances, Provident Fund deductions, Income Tax and other maintenance under legal compliance. This business software is more useful to United States companies as it has 50 US States and Washington, D.C. in addition to Social Security, FICA and Medicare withholdings. The latest version 3.3.5 added Federal, State 2013 tax rate. The ezPayCheck’s design is simple but not very attractive. It can be customized by people with no accounting knowledge. There are five main steps to start with ezPayCheck – Company Setup, Tax Setup, Check Setup, Add Employee, and Add Check. With these five steps anybody can make can utilize the basic operations. Easy to use Graphic UI. It includes 50 States and Federal tax tables. Add custom wage and deduction fields. Prints image signature and logo on checks. 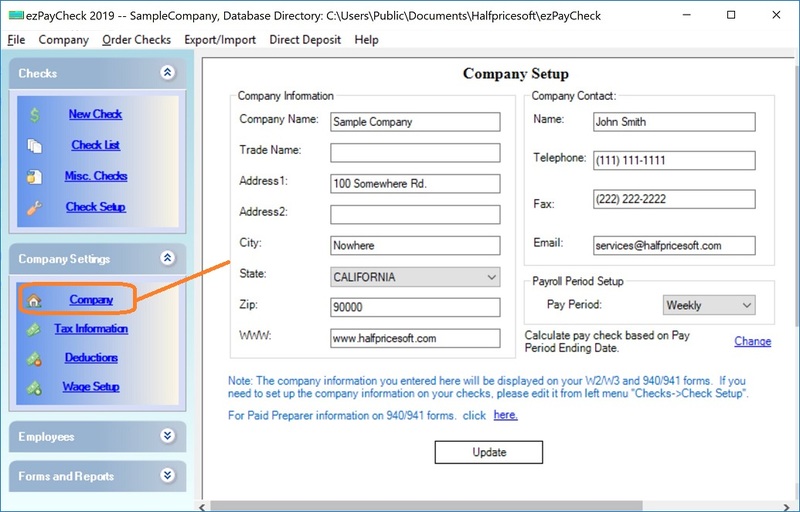 Simple steps to create a company profile and setup employees list. Backup all important data to database and restore them when needed. Export Payroll data and Employee list to other resources. Check-in-middle, check-on-top and check-at-bottom check formats. Add unlimited companies and employees with no additional charges. It can automatically calculate Federal Withholding Tax, Social Security, Employer Unemployment tax and Medicare taxes. EzPayCheck is a perfect payroll management software for US small businesses which also performs check printing task quite easily. You can buy ezPayCheck 2013 3.3.5 version for $89 which is reasonable or try it for 30 days.